Blue 2015 pick up truck. Brown interior. It features tinted windows, 17 inch wheels and adaptive lighting. 2014 Chevrolet Silverado price AED 95,000, with power windows, cruise control, CD player. It has grey interior and is Red. 2016 Chevrolet Silverado with Rear camera, 20″ wheels and Cruise control. Price reduced! 2013 Chevrolet Silverado with Power locks, 20″ wheels and Off-road kit. Price reduced! 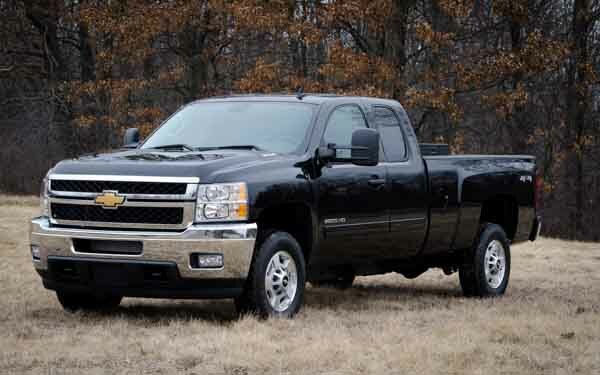 Imported spec 2015 Chevrolet Silverado, 8 cylinders, black pick up truck with black interior. It comes with power windows and CD player. Imported spec 2008 Chevrolet featuring power windows, CD player, AUX audio in. Grey/Silver with grey interior. Opportunity! A 2017 grey/silver Chevrolet Silverado now available at a reduced price. Reduced price! Blue Chevrolet Silverado LT Z71 from 2018 with black interior. Automatic 2013 Chevrolet Silverado price AED 85,000, with 20 inch wheels, rear camera, fog lights, beige interior, black exterior. GCC spec. 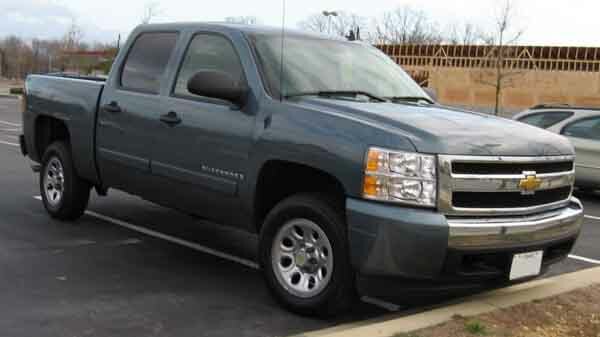 Mousa - I bought my pre owned import Chevrolet Silverado LTZ not too long ago online. The price was right so I couldn’t say no. The specs are great in 2015 trim, and the air conditioning is cold, and the power is perfect when I take my kids to the UAE deserts as the 1500 can tow all four quads. Pros: Power, options and looks. 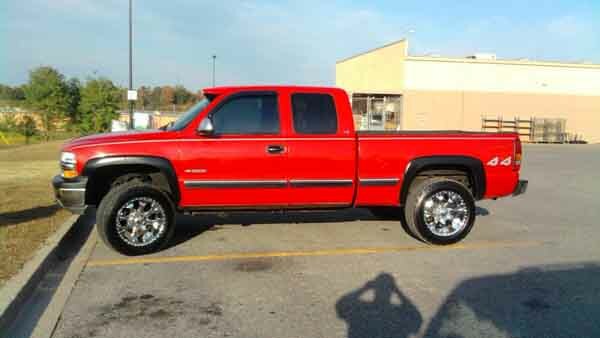 Atif - I couldn’t decide between a second hand Silverado LT or a used GMC Sierra 4x4. The price factor was my primary concern, and I had to buy the Silverado. It’s got the power, looks and gets the job done no matter what. Pros: Robustness, price and style. Bryan - Back home I had a 2500HD, but when I move to the UAE I downgraded to the Silverado 1LT as I don't need to haul heavy loads anymore. Options are great inside even though the cabin feels hard, the engine provides enough kick, and it’s got enough space for the family. Kind of glad I don’t have the HD model as parking in Dubai would be a chore. Pros: Power, space and interior options. They may have taken a turn towards the upscale market. However, that doesn’t take away from the Silverado’s workhorse nature as they are capable of towing over 2,000 kilos. If petrol doesn’t give out enough power for you, diesel options are available producing extra torque for those extra heavy loads. Due to pickups being popular, the Silverado is a favourite given it high resale value in the region leading to finding some to buy your second hand Chevrolet Silverado for sale in Dubai, UAE and select export markets a simple task. Don’t need to transport lots of people, get a two seater. Need to carry more than that get a six-seater version. Silverado’s offer variants for everyone. Want to take you pick up offroad? Silverado Z71 models will have you scaling the dunes in no time. Carrying on the C/K legacy, Chevrolet pickups were rebranded as Silverado’s with the nameplate dating back to the 1930’s! Sharing the same platform throughout with the GMC Sierra, the Silverado has proved over the years to be a real workhorse and keeps the world moving due to its can-do attitude, heavy payload towing capabilities and its torque spewing motors. Not only that, it caters to the other end of the spectrum catering to those who prefer a touch of luxury. Silverado’s can carry from two to six passengers depending on the variant you chose. During its first couple of years, it's said that the Silverado was so popular it managed to outsell the Toyota Camry! Did you know that the Silverado has a racing pedigree? On home soil, the truck is part of NASCAR and races around the ovals at around 190 km/h. 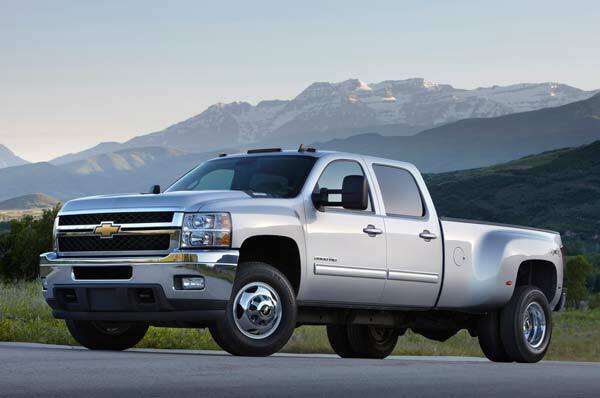 Over the years, the Silverado has won numerous awards such as Truck of the Year 2007. Road Rivals: Ford F 150, Dodge Ram, Nissan Titan, GMC Sierra, and the Toyota Tundra. The first generation of Silverado’s took what the C/K series created and built an all-new truck with rounded angles to keep up with the design cues of the era. Base models are standard with fabric seats, air conditioning, manual accessories and radio tuner. Higher tier models and optional extras include leather seats, powered accessories, sunroof, CD player amongst various other options. Silverado cars are available as a 1500 and 2500 and are available with a single cabin setup up (two doors), crew cab (four doors with rear doors being smaller) or a dual cab (four regular size doors). HD or Heavy Duty models are available for those who want to move heavy loads. Non HD models are capable of moving 930 kilos in the bed and up to 4700 kgs hooked onto the trailer coupling. HD model base trims can haul an equal amount other models able to move double and even triple that amount. Base models are equipped with a 4.3-litre V6 models powering the rear wheels with four-wheel drive as an optional extra. Higher trims and optional extras include V8’s with displacements ranging from 4.8 to 8.1-litres with petrol or diesel intakes. Manual versions do exist, but automatic models are preferred all around. 2003 saw the cars have a new face and various new options added to the interior. 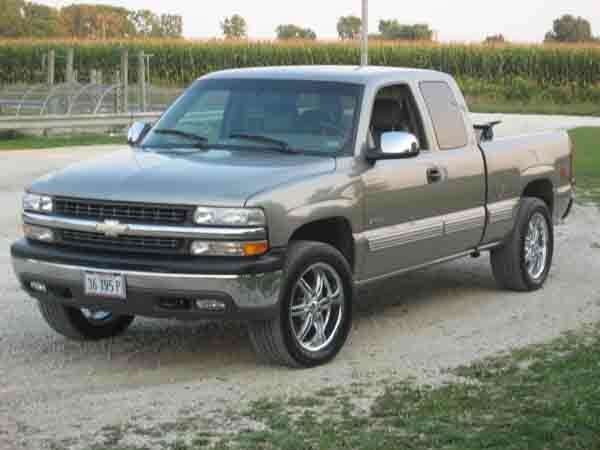 In early 2003, an SS variant of the Silverado based off the standard 1500 launched with an increased power output, rear disc brakes, enhanced suspension and unique selection of paints. 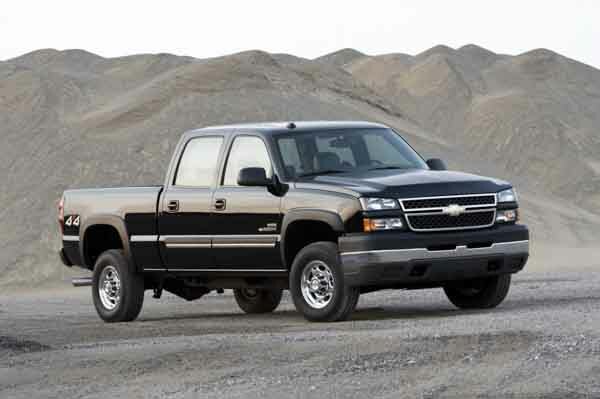 Want to buy used Chevrolet Silverado in Dubai, UAE? Prices start at AED 21,000. Rolling into its second generation, the all-American pickup sports a brand new exterior with new headlights, taillights and interior options. Standard models features remained identical to the previous model apart from the new steering wheel and overall design. Cruise control, media inputs, rear entertainment packages, DVD player, Bluetooth and navigation plus a handful of other features joined the optional extra list. Safety features include ABS, stability control, traction control, hill start assist, parking sensors, adaptive headlights, reverse camera and multiple airbags. All three variants of non HD models returned for another few years with HD models also returning with identical door setup ups. Engines remain identical to the previous models with both the V6 and V8 sipping petrol when ploughing down the road mated to an automatic gearbox with the manual option being dropped from the lineup. All engines are rated higher in turn leading to the trucks hauling heavier payloads than previous models. Chevrolet also tested an all-electric running under the codename VIA VTrux. Over the years, the vehicle has popped up at various motor shows. Want to buy a used Chevrolet Silverado for sale in Dubai, UAE? Prices start at AED 15,000. Returning for a third time with an all look all around. With a prominent grille and larger dual headlights, much of the Silverado’s styling elements have been retained. Bigger and squared wheel arches are evident at the front and back. New rim designs appear on each corner, and the interior also receives a major overhaul. Standard options remain identical to a CD player available as standard whereas the optional extras list not includes everything from previous generations, but an array of new gadgets including a BOSE premium sound system, xenon and LED headlights, larger central display and cylinder deactivation options to conserve fuel. Z71 models offer customers stiffer shocks; tow hooks mounted on the front end, and extra protection bolted to the undercarriage to prevent any damage. Both the V6 and V8 motor return for a few more years once again with various displacements. Base models are powered by a 6-speed automatic controlling the rear wheels whereas the V8 models are mated to an 8-speed automatic with power channelled to all four wheels. A handful of limited editions are available in this generation including two rally versions, a blacked out Midnight Edition and Black Out Edition, Texas Longhorns Edition which features plenty of chrome and two more sports variants. In 2016, the Silverado had its first mid-cycle refresh bringing an all new face to the iconic pickup. This included new headlights, fog lights and certain options becoming standard on select trims. Want to buy a pre owned Chevrolet Silverado for sale in Dubai, UAE? Prices start at AED 84,000.